This idea was born out of perusing one of those in-flight catalogues whilst I was undoubtedly quite bored. You know the type—you can order Arwen Evenstar’s pendant, a mini-putt for the corner of your office, and a brand of makeup you’ve never heard of that is apparently huge in Europe. 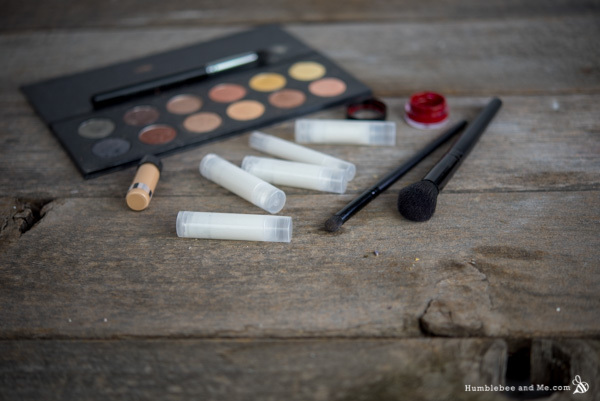 One of the items in this catalogue was some sort of makeup eraser stick; a compact twist-up tube of some substance that would help you tidy up cosmetic snafus—a cat eye that’s headed for the hills, or some mascara that liked the looks of your eyebrows. I liked the idea, and the ingredients gave it away as a simple cleansing balm, so this is my DIY take on it. 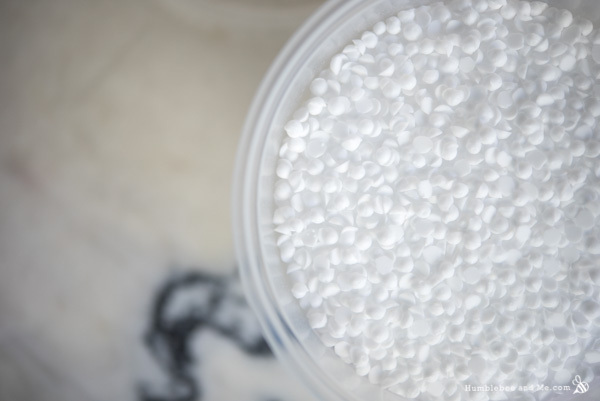 Our cleansing ingredients are emulsifiers—simple emulsifying wax (I used Polawax) and Cromollient SCE. There are several alternatives if you check the list of substitutions at the end of the recipe. These emulsifiers are double-ended molecules: one end loves water, and the other end loves oil. 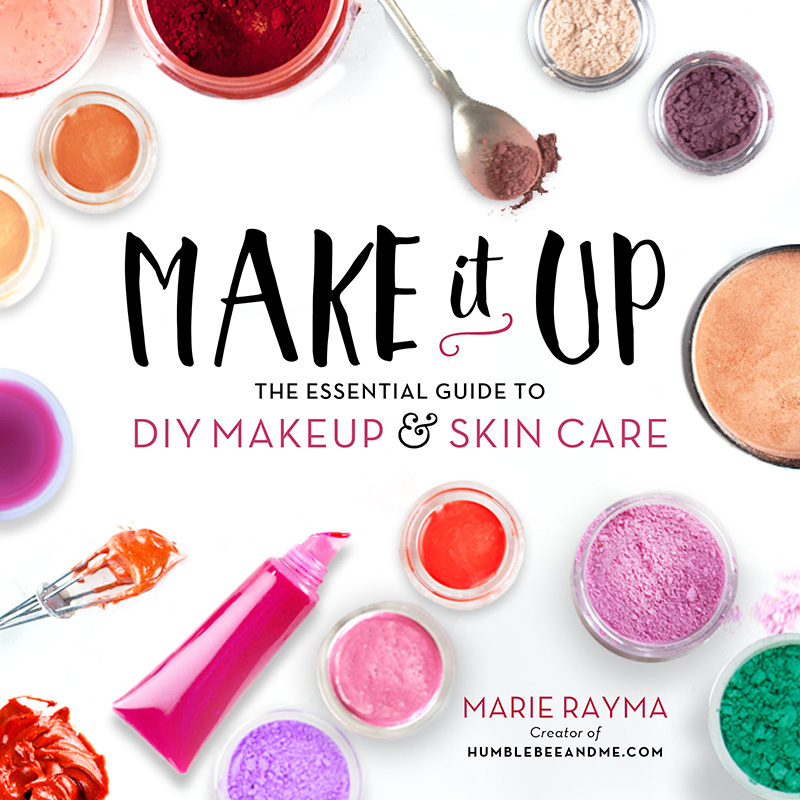 The oil-loving end grabs onto that bit of rogue eyeliner or mascara, and the water-loving end means the whole lot is easily wiped off with the corner of a damp cloth or a moistened cotton bud. The bulk of these eraser sticks is inexpensive, lightweight liquid oil. I’ve used fractionated coconut oil and castor oil, but you’re certainly welcome to use whatever you’ve got on hand in place of the fractionated coconut oil. Sweet almond, apricot kernel, sunflower, or even canola oil would be good choices. I’ve thickened the sticks with a blend of silky cetyl alcohol and creamy stearic acid for a super smooth, easy-rinse finish. Please don’t swap either of these for some sort of wax. 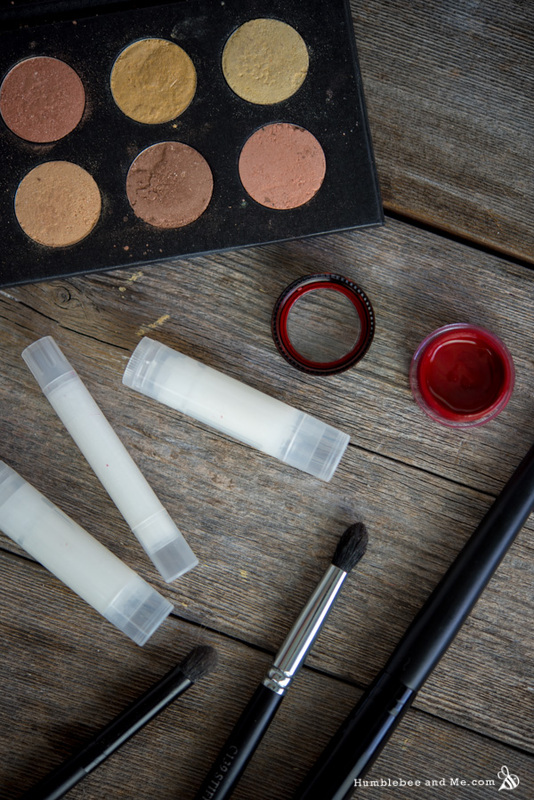 Waxes don’t wash off nearly as well (especially beeswax) and can leave behind a sticky, tuggy residue—not the sort of thing we want around our eyes! I poured mine into four standard (4.5g) lip balm tubes and one slimline (2.1g) lip balm tube, and that was just about a perfect for for a 20g batch. 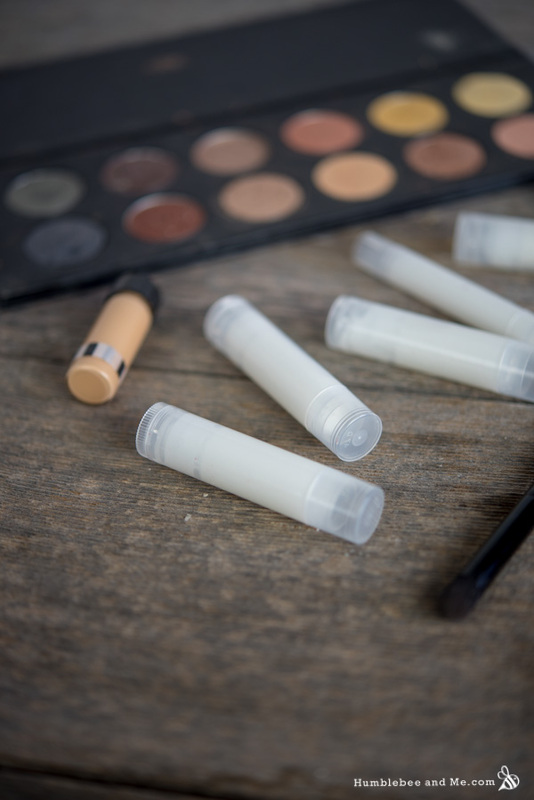 You could also scale up the batch, fill a few lip balm tubes, and put the rest in a larger push-up tube to use as a cleansing balm for the rest of your face! As this project is all anhydrous all you’ll have to do is measure, melt, stir, and pour. Voila! Weigh the heated phase into a small heat-resistant glass measuring cup. Place the measuring cup in your prepared water bath to melt everything through. Once everything has melted, remove the mixture from the heat. Let it cool a bit before adding the vitamin E—you can do this quickly in an ice bath, or just leave it for about five minutes. 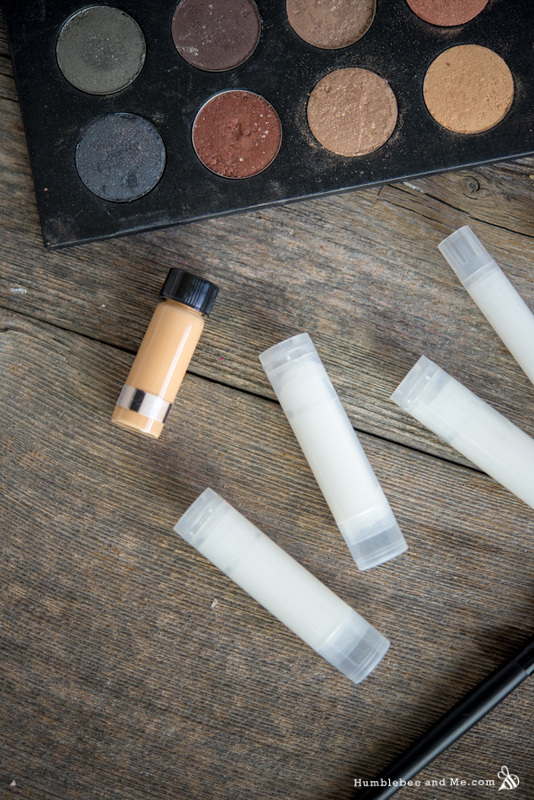 When the mixture has cooled a bit, stir in the vitamin E and then quickly pour the mixture into lip balm tubes. I found 20g of this recipe filled four standard (4.5g) lip balm tubes and one slimline (2.1g) lip balm tube just about perfectly. Because these eraser sticks does not contain any water, they do not require a broad-spectrum preservative (broad spectrum preservatives ward off microbial growth, and microbes require water to live—no water, no microbes!). Be sure to keep them dry to ensure it lasts as long as possible—don’t let any water get into the container and it should easily last a year. As I’ve provided this recipe in percentages as well as grams you can easily calculate it to any size using a simple spreadsheet as I’ve explained in this post. As written in grams this recipe will make 20g. I don’t recommend swapping out the stearic acid or cetyl alcohol. You could try cetearyl alcohol, but you may have to adjust the recipe to get the right consistency. I am just wow – ed by your creations. Every time I see what you have whipped up it’s so inspiring and joyous that I wish I could meet you. You are my favorite blogger. You give a new perspective on health with all the DIYs. I just wish that your awesome products could be made here in India as well. I have made many things using your recipes by ordering off stuff from abroad mainly. Much love and keep making the beautiful stuff like you always do. Thanks so much, Trisha! I can definitely sympathize with the plight of hard-to-get ingredients—availability is different all over the world, so it’s pretty much impossible for me to produce the amount of recipes that I do using only ingredients that are globally available 🙁 My Crunchy recipe index might have more things you can make, though! A quick question, since you can sub poly 80 for Cromollient , can you sub Cromollient in other recipes using poly 80? Will definitely try this. Love your blog and your ideas! I will probably go ahead and order the Cromollient SCE, but I’d like to try it with the Poly 80 while I wait for that to arrive. Is it a 1:1 swap? Oh my god why haven’t I thought of this? 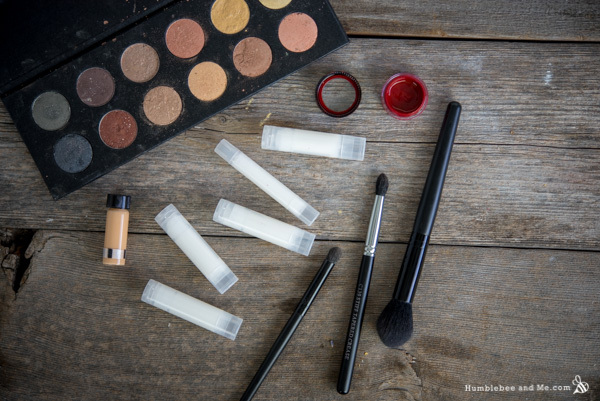 I’ve been making cleansing balm for years now and I never thought of putting it in lipbalm containers to use as makeup eraser. As always, thanks for sharing Marie! I have neither Cromollient nor Polysorbate 80. I do have Polysorbate 20. Would that be a less than ideal but still workable substitute? Can I leave them all out? What does the Cromollient bring to the table? Hey Marie! Looove this, I actually made it with P80 and it works awesome!! I just have a doubt, can this be used for removing the bottom lid eyeliner? This looks really cool and useful, but I do have a question. When using the stick, do you just swipe it on the area you want to remove and then wipe it off? If so, how would you keep the stick clean since it would have makeup all over it? Thanks for your very awesome recipe. I’m always so curious if I get email notification for new recipe from humblebeenme. 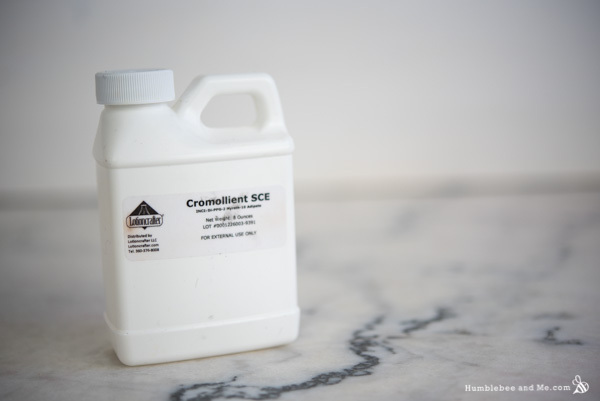 I want to ask about solubilizer between Polysorbate 80 vs Cromollient SCE, which better in cleansing power work, on makeup remover, especially for bold makeup? 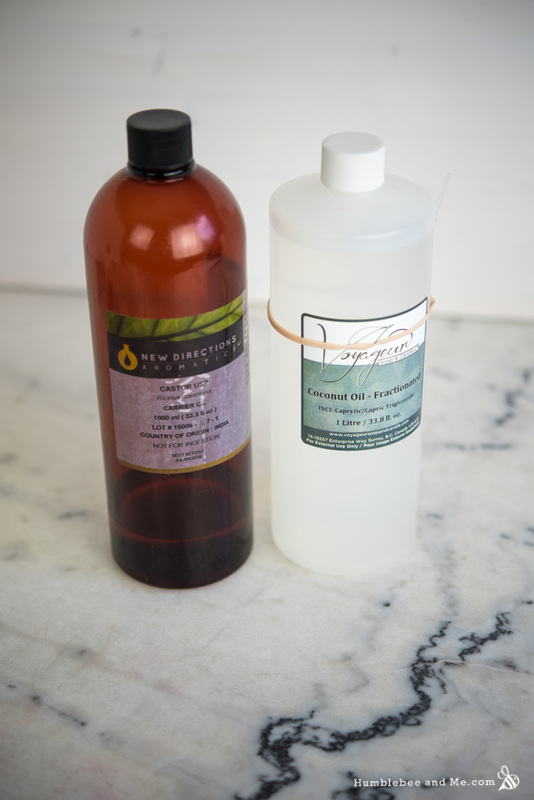 What’s the difference between a vinegar/acidic hair rinse and conditioner?